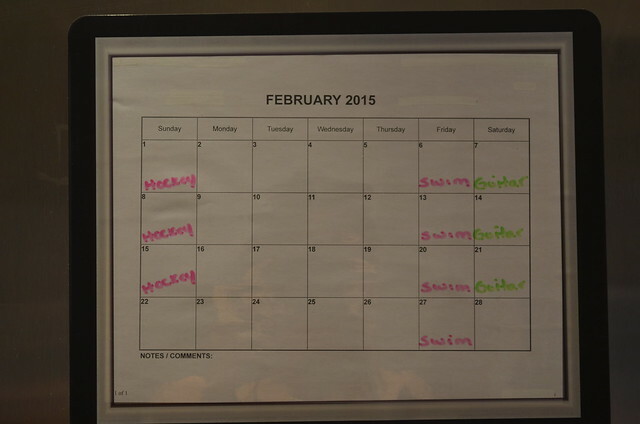 It seems that most of my mom friends have a super cute magnetic mommy calendar that they stick to their fridge. I, of course, have the type of fridge that isn’t magnetic and cannot use that type of cute calendar or stick photos or art up. This may leave my fridge looking neat and pristine, but leaves my kindergartener asking me to tape art up all over my kitchen, which isn’t exactly my preference. Enter Fodeez Adhesive Display Frames. These brilliant frames stick to anything! They are peel and stick, do not leave any residue and can be moved around as much as needed. Available in a wide range of sizes from wallet to 8.5 x 11, these frames can be used to display photos, calendars or kids’ art. Another handy feature is that you can write on them with dry erase markers. This makes the calendar feature perfect for a family like ours and can cut down on paper, which is a really nice environmentally friendly feature. I also really like the idea that I can swap out photos or art as often as I like without having to mess around with frames, which can be a hassle and obviously aren’t as convenient since they need wall or counter space for displaying. Teachers will also appreciate the large size as it can be used for practicing writing or math without having to use paper! Fodeez also has a great program where every purchase of Fodeez Frames contributes to the donation of frames to children who are dealing with extended hospital stays. 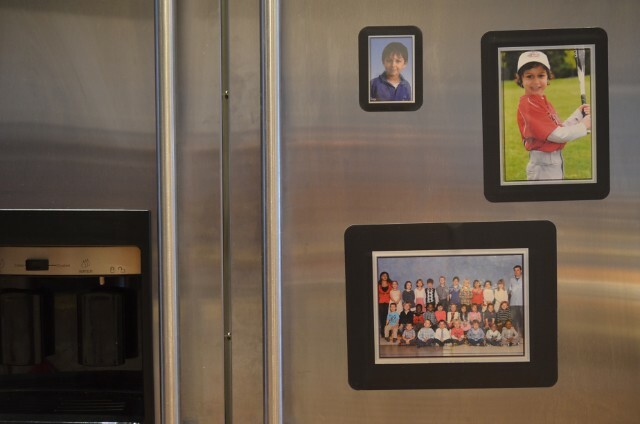 This allows children to have photos of loved ones up in their rooms, or use the dry erase feature to play games or draw to keep themselves busy during their stay. They also have a neat online survey where you can earn a $10 gift certificate that can be used when Fodeez launches their new and improved site at www.fodeez.com. The frames range in price from $3.49 to $9.99 USD. There are also opportunities to create branded or custom frames, which would be a fabulous idea for schools or teams. I really like the idea – perfect way to display items that you may not want there permanently, but just temporarily.. Really handy! oh I need some of these, in every room! I really like these ! I love these, what a neat organized way to display photos and calenders. Our fridge is all jumbled these would be great. This is such a great idea. I especially love that they donate frames to children in the hospital. I will definitely be supporting this company. These are very clever . I like how it makes things you put up look ;finished’ and neat. I know anyone with young kids would love this. I love this ideas! I will totally think of buying these! a super idea, so much nicer than just a magnet. I especially like the calendar and the fact that you can write on the page with a dry erase marker. These are a great idea and I love the opportunity for a discount. I’d like to get that for my fridge!!! I really like this idea,that its reusable! a great idea, much easier than changing a photo in a frame too. I wonder how many times they can be reused though. I did once have window decorations on the same principle but they only last 2 seasons and then wouldn’t stick properly any longer. This is the first I’ve heard of such a frame for the fridge. It can definitely come in handy and makes a unique gift for friends with kids. Thanks for sharing. what a neat way to get things organized on the fridge! Imagine a frame that will stick to anything, be removed without leaving a mark, may be written on and erased and can be removed and put around some other useful item you wish to put up on the wall-a teacher’s dream or that of a proud mother of budding artists. Thank you for all this information, Jen.